I couldn’t agree more with Mr. Justice Brown who made that comment in his decision dismissing the appeals of Mr. Raymond Rei. Mr. Rei had been ticketed for operating a vehicle without insurance and without a driver’s license. He disputed the tickets and argued his case at the Provincial Court level. He lost. He appealed to the Supreme Court of British Columbia where he came before Mr. Justice Brown. 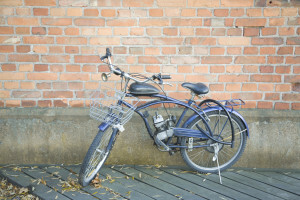 The subject matter of the appeal was whether or not the two wheeled “device” Mr. Rei had been riding required insurance or required the driver/rider to have a driver’s license. According to the laws of the Province of British Columbia, a “motor assisted cycle” is treated like a bicycle. You can ride it without a driver’s license and without insurance. Consider the debate about what kind of two wheeled critter ought to require a driver’s license and insurance and what ought not to. I expect most of us would agree that a bicycle should not. What about a bicycle that you add a small electric or gasoline engine to, to assist in getting up some of our Okanagan hills? If we’re going to allow bicycles with engine add-ons, what about scooters that are manufactured with both pedals and small electric or gasoline motors? They go no faster than a strong cyclist could pedal, in fact in many cases they can’t go as fast. They are far more environmentally friendly than a car and you get as much exercise as you choose with the pedals. A line has to be drawn somewhere. It is the definition of that line that Mr. Justice Brown was referring to when he said “Perhaps the regulations would benefit from a review”. 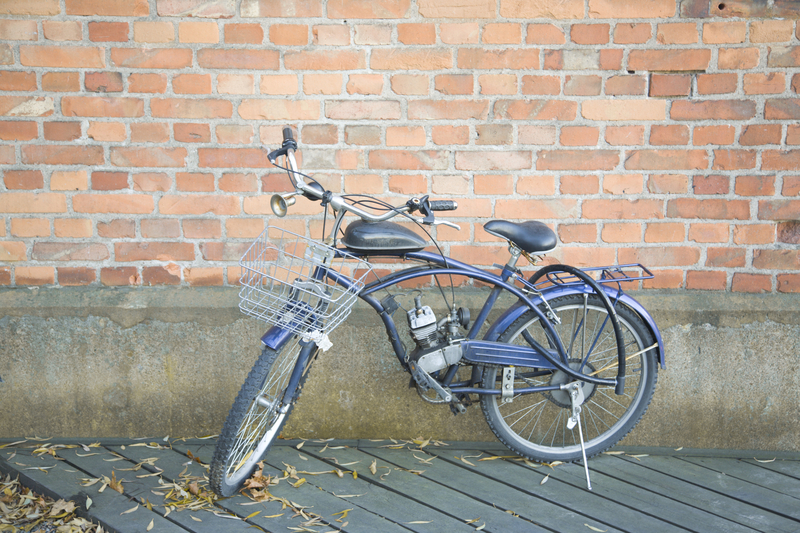 A “motor assisted cycle” is a defined term in the Motor Vehicle Act. In order to fit within the definition, the two-wheeled beast must be one “to which pedals or hand cranks are attached that will allow for the cycle to be propelled by human power”. Of course, nobody actually reads the Motor Vehicle Act. It is even less likely that anyone would read the Regulations to the Motor Vehicle Act, which is a completely separate document. The Regulations add to the definition, containing such additional restrictions as an engine shut-off requirement: the motor must “disengage if the operator stops pedaling”. Incidentally, if you were to actually read the definition of “motor assisted cycle” in the Motor Vehicle Act, you would not see anything alerting you that the definition is incomplete, i.e. that you have to look somewhere else for the rest of the rules. Even ICBC, the government agency responsible for this stuff, has difficulty explaining it. They have a table on their web site with a list of requirements to qualify as a motor assisted cycle. The list doesn’t include the engine shut-off requirement. To be safe, they have a link to the Regulations so you can read them yourself, but the link currently goes nowhere. I hopefully expect that the link will be repaired as soon as this column is published as I have been told that my column is required reading for some unfortunate folks at ICBC. Mr. Rei’s “device” was in the greyest of the grey areas. His “device” did have pedals, but they were removable. He could clip them on and off as he wished. He found that the pedals made his device unsafe because they hit the pavement when the “device” naturally leaned over while rounding a corner. For safety’s sake, he removed the pedals. It is not apparent from the court decision whether, had the pedals been clipped on, some sort of engine shut-off mechanism might have been engaged. On the basis of the pedals alone, he was properly riding without a license and without insurance if the pedals were clicked on, but his “device” became illegal when he took the supposed safety measure of unclicking the pedals. Mr. Rei had to pay a couple tickets. No big deal. Insurance implications can make it a big deal, though. I am directly aware of a fellow who had been riding a similar “device” and was run off the road by a negligent driver. For the same safety reason, he had removed the pedals. He hasn’t been able to work since the crash and ICBC is denying him the significant benefits he would have been entitled to had he not unclipped the pedals. Is the “device” that you or someone you care about is riding “legal” without a driver’s license and insurance? Would you be denied benefits if a motorist ran you off the road? With incomprehensible rules that even ICBC can’t get right, how could you even find out? This might add some clarity to the situation. I contacted ICBC and asked them: Does the presence of the Transport Canada sticker mean that the bicycle complies with BC regulations as a MAC? Initially ICBC referred me to the office of Vehicle Inspections & Standards. ICBC called me back informing me that they had consulted with Vehicle Inspections & Safety about the question: Does the presence of the Transport Canada sticker mean that the bicycle complies with BC regulations as a MAC? They informed me that the BC regulations are parallel to the Transport Canada Standards with a few minor modifications. The first difference in the BC regulations is that a certain wheel size is required. The wheel size under 2(1) requires that the wheels of a motor assisted cycle must be 350 MM or more in diameter. This is not present in the federal regulations at all. The second difference in the BC regulations is that they only allow a motor assisted cycle to have no more than one motor for propulsion. [1(1)] The federal regulations allow one or more electric motors. (4) However, they informed me that this was a case that the BC regulations have not kept up with the changing technologies and that some updates needed to occur. The federal standards had been updated more frequently. The third difference between the federal regulations regards the matter under 3(2) of the BC regulations. Here the BC standards have three options while the federal standards only give two options. The two options of the federal regulations are: If it is engaged by the use of muscular power, power assistance immediately ceases when the muscular power ceases, OR if it is engaged by the use of an accelerator controller, power assistance immediately ceases when the brakes are applied. The BC regulations have added to these two a third option: or an accelerator controller is released. They informed me that for a scooter to meet the BC regulations and be classified as a MAC that only one of the three conditions under 3(2) needed to be met. They said that the BC regulations were not written to say anything different than the federal regulations on this point but only to add a third option. In reality the BC regulations has more options in this area than the Transport Canada regulations. They mentioned that ICBC has never advised anyone that the BC regulations required the motor assisted bicycle to meet all three of these requirements but only one of the three to qualify as a MAC in BC. Further, if the scooter does not engage the electric motor when pedaling the requirement to disengage doesn’t even apply. The BC regulations (mirroring the federal regulations) make this clear when it states: The motor of a motor assisted cycle must turn off or disengage if (a) the operator stops pedaling, (b) an accelerator controller is released, or (c) a brake is applied. The one little word ‘or’ indicates that only one of these three options need apply. If all three of these aspects would apply the BC regulations would have used the word ‘and’ as it does earlier in the same regulations in section 1(2). They stated that the BC regulations were primarily written for home kit bikes and not for commercially available scooters. They said that usually corporations are more concerned about stopping the scooter, which is the issue of 3(2)], than the BC regulations because of liability concerns. They were not aware of any of commercially manufactured scooters with the Transport Canada label that did not meet the BC regulations. Other than those three areas he said that the BC regulations paralleled the federal regulations. He mentioned that in reality the BC regulations are not intended to be different than the federal regulations except in these few areas. Therefore they assured me that the consumer could confidently purchase a scooter which had the label of Transport Canada assuming that it also met the BC regulations. Hypothetically, it would not meet the BC regulations if the tires were too small or it had more than one electric motor. The third difference could never exclude a scooter with a transport Canada label because BC regulations are wider in this regard since they allow one of three options rather than only two options. I understood that a gasoline -powered bike assist motor is legal provided there is no sprocket or other geared transmission connecting the motor to the bike. The drive must be directly from the motor shaft to the wheel(front or back).–ie a friction drive on t he bike tire. Speed limit is the same as with an electric motor. Is this the case in B.C.? Barry….it was quite some time since I did the research to write that column but I don’t recall those factors entering into the “legality” of such things. i live in BC CANADA. does anyone know why a MAC is required to have 3 wheels or less? 4 wheels is no wider than 3 ? i want the stability and safety of 4 wheels over 3. if it is un safe for some reason because other drivers do not to treat a 4 wheel MAC as such but instead as a regular motor vehicle. if so i don’t think catering to inherently more dangerous vehicles to operate and their operators lack of willingness to share the road is the solution. we could visually mark MAC’s to clarify the confusion others may be in. or better yet we could just treat all vehicles like MAC’s. opinions? and also what is the width limit for a MAC, be it 3 wheel? and the weight and length limit? and towing weight and length limit? can they be enclosed? is a helmet required if it is enclosed? “it seems the regulations would benefit from a review” ha that’s rich, what wouldn’t benefit from a review… gawd. please do. why are regulations so hard to state in binary, in black and white, at least more so than they are? why cant we just state the maximum and minimums for the dimensions and weight along with the motor power and safety equipment (maybe a visual identifier) as a way of integrating MAC’s into peoples consciousness and making them easily identifiable on the road. that way many many more people can travel without a licence, registration, insurance, and in a safer vehicle. what values supersede these? please do tell? on a side not it should be legal to occupy public property with yourself and your property as long as you wish and are alive. and in turn sleep there as well. i think the world needs a mix of society and the wild to live together, and to foster the range creativity grows upon. opinions? well the issue is land(off grid utilities are solved with technology, local and domestic solar panels, rain, snow, de-humidification, well, and stream water collection as well as distillation and filtration(all better than most town water), local and domestic waste management tech, evaporating water fan AC, and wireless transmission. i think a percentage of land should be freely available in all towns as first come first serve lots for free public use and LIVING as long as you like. with lots always available to locals. we need to have basic survival along with a choice of lifestyle fully provided for all as a base line launching pad for the widest range of opportunity for creativity within any person. lack of necessities and artificially induced necessities fuel the interests of a few which is taking power, energy, space and resources from others for their fragmented ego’s fulfilment. I have today been stopped and cautioned in BC for riding in an AMA restored area on my Cube Fat Tire pedal assist bike (MAC) They ( The CO’s) are classifying it as a motor vehicle, despite having no throttle, and being restricted to a maximum 26kph assist. Finding out if this is correct is proving incredibly difficult, if not impossible. Any clues or information will be greatly appreciated. If you’re still unsure, we suggest contacting ICBC for clarification. 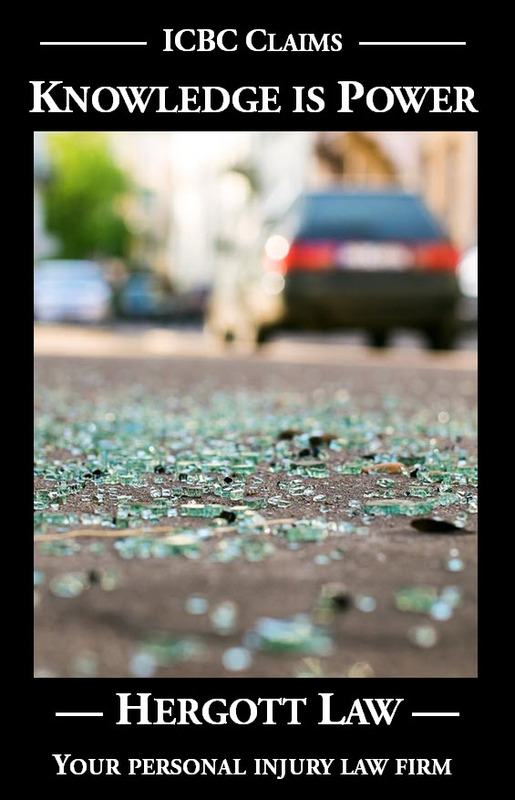 While Paul is incredibly versed in the ins-and-outs of personal injury arising from motor vehicle incidents, his knowledge on MACs is limited in comparison. Hopefully this ICBC website does give you some clarification, and the answers you’re looking for!